Been a wonderful month or so…firstly I have to thank everyone who sent their best wishes to me (literally hundreds of people, mostly via Facebook) for my 60th birthday in June…made an old man very happy….I’m actually appearing even older at the mo, as I’m still having to sit on a stool at gigs, being not fully recovered from my hernia op earlier in the year. Don’t worry, even seated I can still give it loads, especially with trusty Loved up Les at my side, and I’ll be back standing up and stomping before you know it! My good friend Helen Stephens (who created this website, and is part of the Sandbox Digital team, who made the “Settle Down” DVD) decided we should do a special limited edition “60th birthday T-shirt” to celebrate me reaching that venerable age, and being eligible for a bus pass! 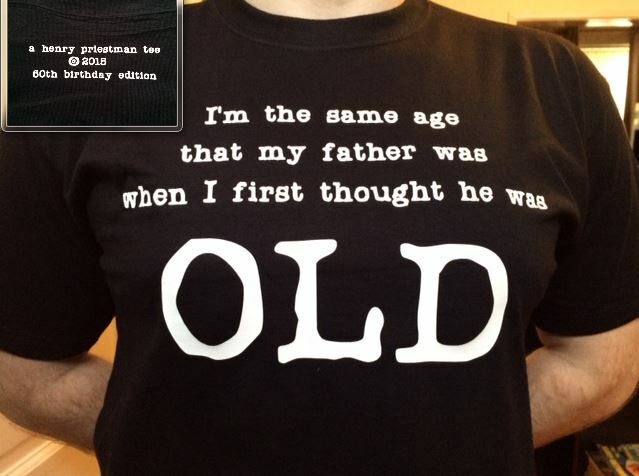 The T-shirts bear the line from my song “Old”: “I’m the same age that my father was when I first thought he was old”..with “a henry priestman tee, 60th birthday edition” on the back (perfect for any upcoming 60th birthdays!). The shirts are £12 plus P&P. 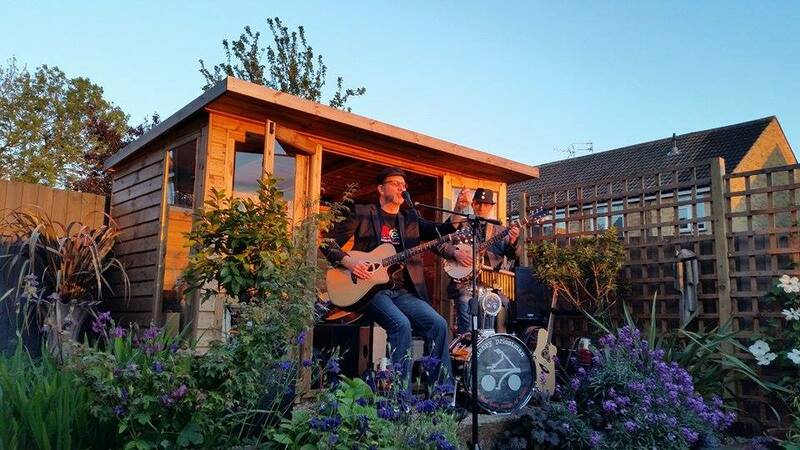 Just a few more gigs before I take a break in Aug/Sept..including a return to London’s Green Note on July 24, the wonderful “Folk On The Farm” Festival on July 17-19th, plus 5 housegigs. Loads more gigs coming in (especially housegigs; I’ve had 4 enquiries about them this week alone). 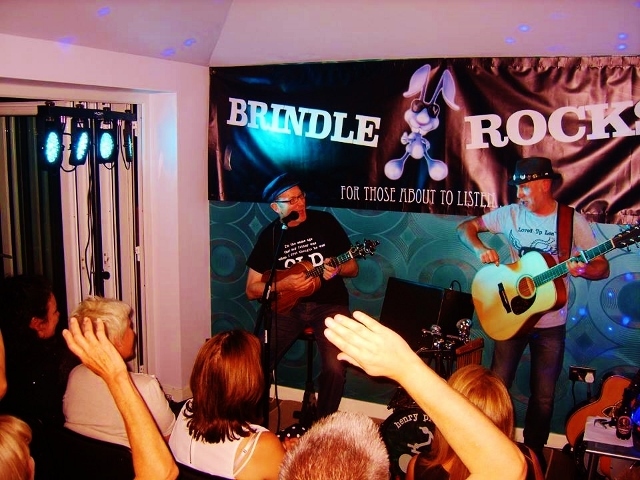 All live concerts are listed below…I plan to call the autumn set of gigs my “Complete Renaissance Man Tour 2015”, nicking a line from “In My Head” off my “Last Mad Surge Of Youth” album. Anyway, enjoy the summer everyone, and try and get to a gig if you can! PS re gigs, some are so hot off the press that ticket details aren’t up on website/Facebook gig/event lists yet…don’t worry, all info will there soon.